I don’t know why I read it. I told myself I was trying to find the owner. But really, I was curious, in the way one is when you get a glimpse of someone else’s life. 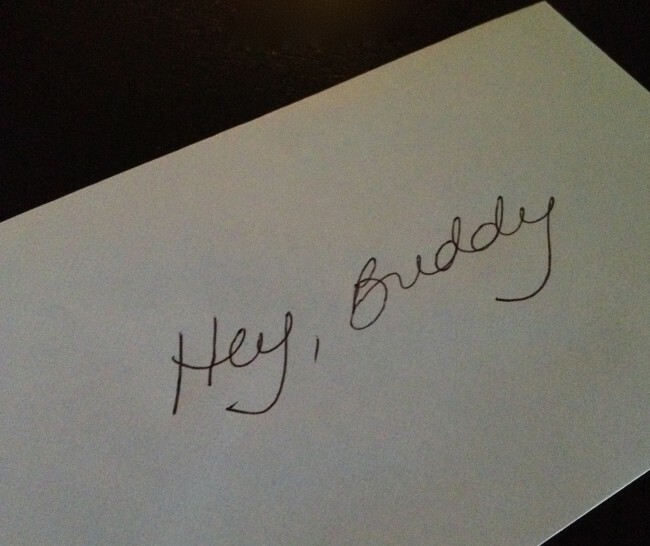 You’re probably too old to want a letter from your mom on the last day of school, but you’re getting one anyway. I hope you read this and don’t just throw it out with your lunch. I know this year wasn’t always great, and we argued over grades and homework way too much, but it’s only because I care about you and your future. You are so smart, and I want the whole world to know it, not just me. Anyway, have a great day and let’s relax this summer and just have some fun. A nice letter. But a moment lost. I hope she speaks out to him when he comes home today. Perhaps she will. Or perhaps they’ll go through their evening in a silence not to be breached by a few, simple words. This post is part of the Blogging University Writing 101 series. This entry was posted in Parenting, Writing101 and tagged blogging, correspondence, letters, parenting, writing, Writing 101 by Sarah Day. Bookmark the permalink. That was sad. I hope things turn brighter for them. Oh my goodness, it’s fiction? Do you know what I’ve been through these last five minutes??? I’m sorry – I’ll try to make the next five minutes you spend here more uplifting! It was a beautiful post, but it did rather tug at the heartstrings. I couldn’t figure out a way to make this one funny. It’s fiction…sort of.